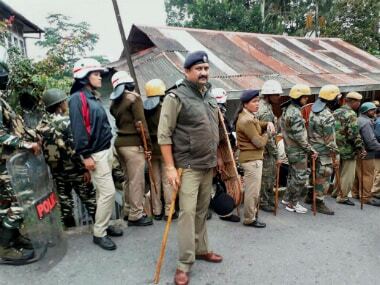 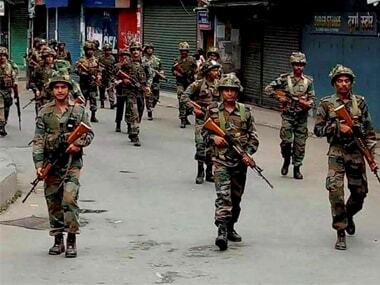 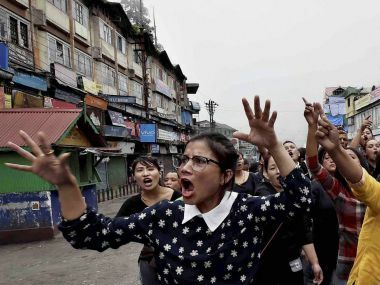 As many as four houses were destroyed in a deadly fire in Gorkha Janmukti Morcha (GJM) chief Bimal Gurung's neighbourhood in Darjeeling's Patlebas, police said on Sunday. 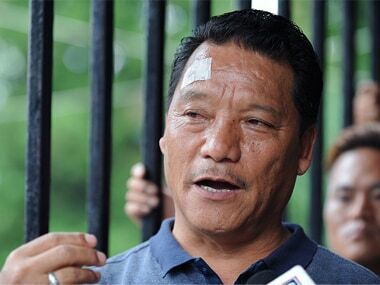 Binay Tamang also apprised the governor of recovery of a large cache of arms and ammunition on Friday. 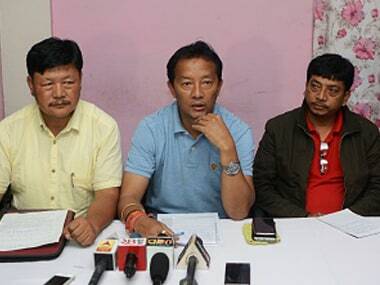 Expelled GJM leader and chairman of the board of administrators (BoA) for Darjeeling Binay Tamang blamed party supremo Bimal Gurung for Friday's violence in the hills and said the people of the region "will not allow Darjeeling to turn into Kashmir"
The picturesque hill town of Darjeeling in northern West Bengal will face another shutdown as the Gorkha Janamukti Morcha (GJM) leadership is set to observe a 'black day' on Sunday to protest the death of three of their activists in police firing. 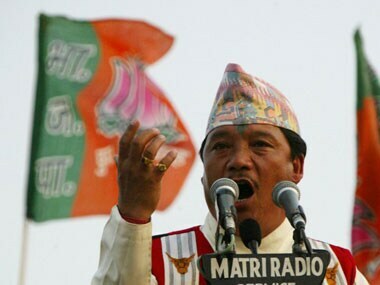 The police today raided premises of GJM chief Bimal Gurung and arrested some party activists following which the outfit called for an indefinite shutdown.